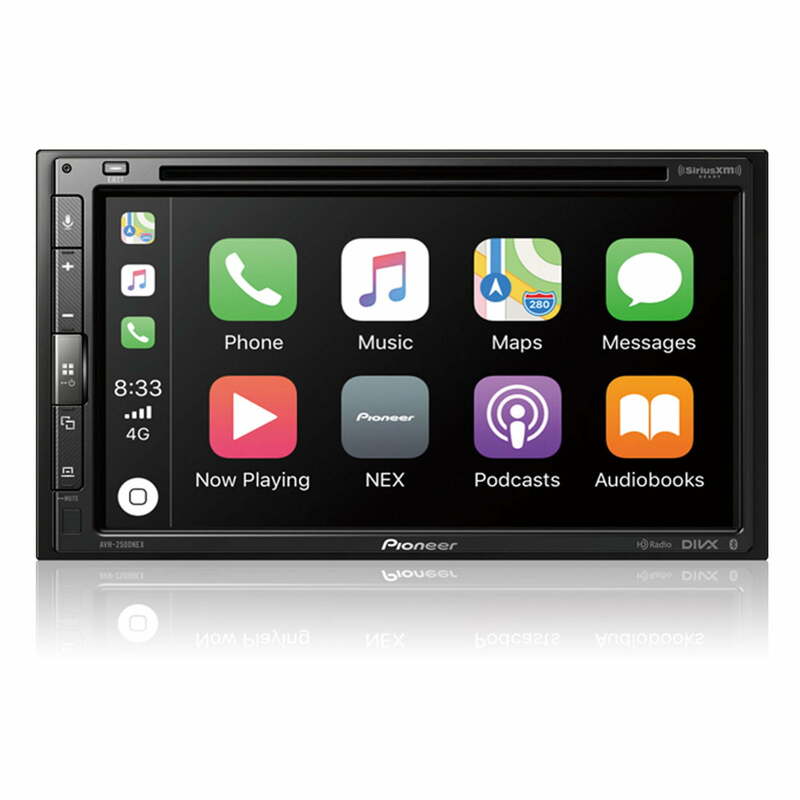 Pioneer AVH-2500NEX features Apple CarPlay, the smarter, safer and more fun way to use your iPhone® in the car. Apple CarPlay gives iPhone users an incredibly intuitive way to make calls, use Maps, listen to music, and verbally send and listen to messages with just a word or a touch. Apple CarPlay requires iPhone 5 or newer with the latest version of iOS. 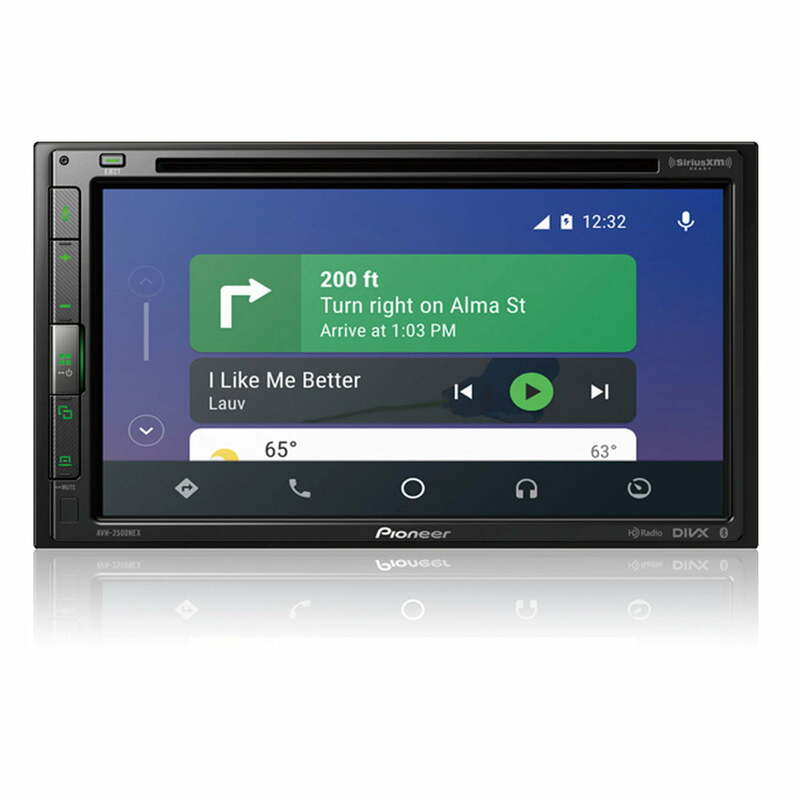 Pioneer AVH-2500NEX also features Android Auto, which extends the Android platform into the car in a way that’s purpose-built for driving. Android Auto automatically brings you useful information and organizes it into simple cards that appear just when they’re needed. It’s designed to minimize distraction so you can stay focused on the road ahead. Stay safe and obey local hands-free laws with built-in Bluetooth (HFP). 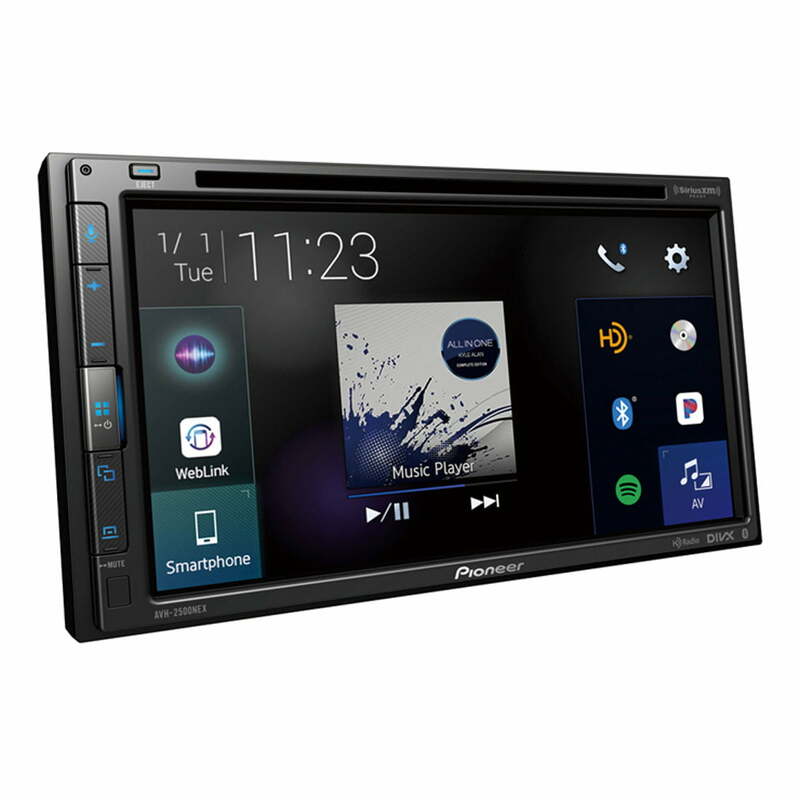 Easily pair a Bluetooth enabled phone to the Pioneer AVH-2500NEX without having to go through complicated settings. When a registered Bluetooth device is in proximity to the receiver, the auto connection function automatically pairs the two units. Pandora is personalized internet radio that is designed to help you discover new music that you’ll love mixed in with music that you already know. 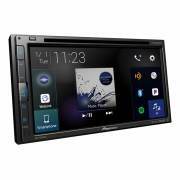 With the AVH-2500NEX, you can enjoy superior sound quality and full control of the Pandora experience in your car directly from the touchscreen display of the receiver. You are able to give tracks “thumbs up” or “thumbs down,” bookmark a song so you can purchase it later, easily switch between your personalized radio stations, and view full track data and album art. Pandora is compatible with Apple iOS, as well as Android devices that support the Bluetooth Serial Port Profile (SPP). Simply download the free Pandora Radio app to your iPhone or Android device, connect to the AVH-2500NEX and take your music to the next level. 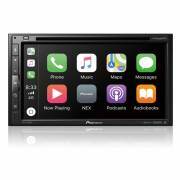 Pioneer AVH-2500NEX is SiriusXM- Ready® so you can get over 140 channels, including commercial-free music, plus the best sports and live events, comedy, news, exclusive talk and entertainment. SiriusXM programming is received through the SiriusXM Connect Vehicle Tuner (sold separately, SiriusXM subscription required).